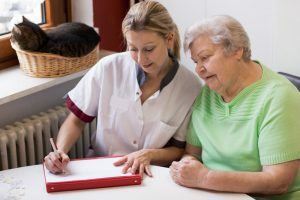 The long-term care landscape for Medicaid is changing quickly and this may cause us to consider as a society how to reconsider the way that we get personal assistance as we age or become disabled. Nearly half of all states in the country are currently provided long-term care benefits through Medicaid as managed care, and in fact a further 13 states are requiring that older adults receive care in this same way. Four out of five states in the country are expanding their home care benefits through Medicaid and others are even beginning to provide housing services through the federal program as well. Since 1965, when Medicaid was first enacted, nursing homes were considered to be the primary place where long-term care benefits were delivered. However, this has shifted gradually towards the home and community assistance for many reasons including the fact that federal waivers programs gave states the flexibility they needed to make it a reality. A Supreme Court decision at one point required it and consumers demanded it. More recently, the federal government allowed states to provide this care at some assisted living facilities. The trend towards home based care mostly affects those individuals who are recipients of Medicaid. The accelerated shift to managed care will have bigger consequences for all adults. Being able to get the help necessary in your own home as you age raises important questions. It is critical to have the estate planning documents that you will need to transition to this phase successfully, including your will, any trusts and then any powers of attorney that allow another individual to step in and make decisions on your behalf.